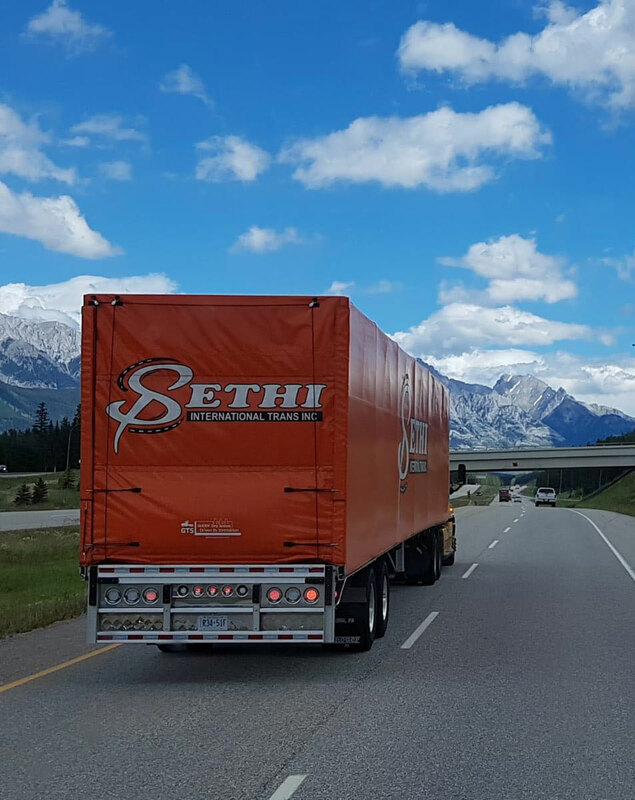 Sethi International offers modern and traditional logistics solutions specialized in Roll-Tite system loads, well-thought and analyzed by our analysts and strategists. We think for our clients and design the best, individual shipping plan for their goods. By selecting the best service for your needs, we can tell you the details about the transport of your cargo, including the price, time of delivery and all the other information you may need. Our Team is expert in cross border freight from Canada and to US. We deliver your goods on time, without unnecessary delays. Our team of experts will provide the best solutions for your freight. By applying all the required safety measures, we deliver the products in the same condition as we receive them. We are available any time for your inquiries and questions. You can choose the most convenient, customized package for your budget. Roll-Tite system loads exactly like a flatbed and supports the transport of similar materials, with the difference of the load being covered up later, it needs only a few minutes to tarp. The tarp protects the freight from any exterior damage and weather conditions. Although the tarp covers the freight from all sides, it does not touch the freight. Our clients usually choose this method for machinery, building products, lumber, and others. LTL (less than load) is a very popular shipping method due to its flexibility and availability. It is created for clients whose cargo is larger than a parcel but still smaller than the full size of our trucks; they do not want to mix their cargo with cargo of other senders so they decide to ship LTL. The goods are not in danger of being damaged and will certainly arrive safely at the specified destination because we deliver them directly to the recipient. In order to use our full potential, we offer full truck load (FTL) service, which can accept all the goods that fit in our trucks. These shipments are larger and can consist of different materials (liquid, bulk, etc.). Due to less air between the goods, they are safer and FTL is qualified as a good option for delicate and high risk freight shipments. Your products stay intact during the transport procedure. Two drivers can transport goods better and safer than one. If your cargo needs urgent delivery and the recipient destination is not nearby, team load is a great choice for you! Our drivers work in a team and drive on shifts, without stopping the transport while still keeping themselves and your freight safe! You can choose any truck for this type of delivery and your goods will arrive on time. Sethi International aims to become your one and only transport service provider. We are pleased to serve you the first time and certain that will not be the last once you experience the quality of our services.